Dr. 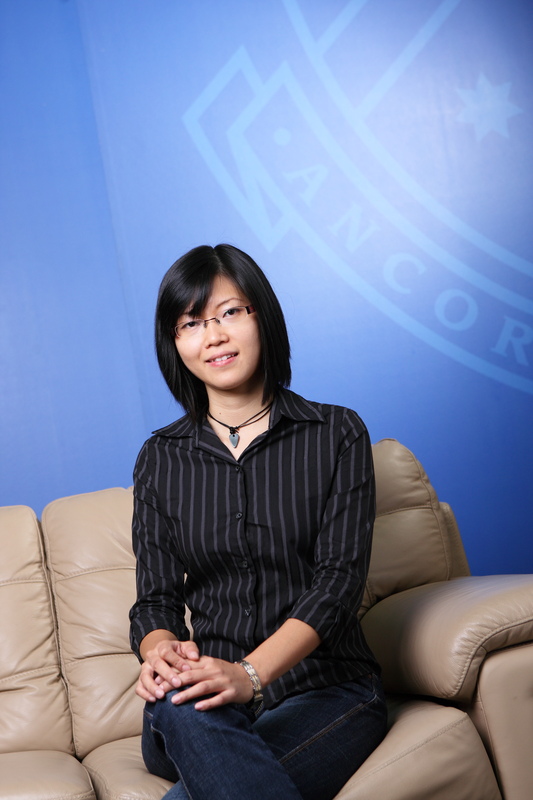 Au Wee Chan is a Lecturer in the Department of Management at Monash University Malaysia. She joined the university in 2012. After a career in industry, she obtained her PhD from Monash University in 2011. Her PhD thesis investigated work-life balance in Malaysian context. Her research interests lie in area of Human Resource Management, Organizational Behavior and Entrepreneurship. She is a member of Work-Family Researchers Network (WFRN) and Academy of Management (AOM). Au, W.C. & Ahmed, P.K. (2016), Relationships between superior support, work role stressors and work-life experience, Personnel Review, 45(4), pp.782-803. Au, W.C. & Ahmed, P.K. (2015), Exploring the Effects of Workplace Support on Work-Life Experience: A study of Malaysia, Human Resource Development International, 18 (4), pp. 346-365. Au, W.C. & Ahmed, P.K. (2014),"Sustainable people management through work-life balance: A study of the Malaysian Chinese context", Asia-Pacific Journal of Business Administration, Vol. 6, Iss 3 pp. 262 – 280. Uddin, M.J., Au, W.C. & Ahmed, P.K. (2018), Do institutional pressures drive change? Evidence from Bangladesh garment industry, 78th Annual Meeting of the Academy of Management (AOM), 11-14 August 2018, Chicago, Illinois, United States. Teow, H.H., Au, W.C. & Ahmed, P.K. (2017), “Protean Career Orientation of Generation Y: A Social Cognitive Career Theory Investigation”, 43rd European International Business Academy Conference (EIBA 2017), 14-16 December 2017, Milan, Italy. Khalid, S., Au, W.C. & Ahmed, P.K. (2017) “Social entrepreneurship & sustainable development in the Kenya healthcare sector”, poster presentation at 43rd European International Business Academy Conference (EIBA 2017), 14-16 December 2017, Milan, Italy. Au, W.C. & Ahmed, P.K. (2017), “Effect of work domain support on work-life experience of conflict and enrichment”, 2017 European Academy of Management (EURAM) Conference, 21-24 June 2017, Glasgow, Scotland. Teow, H.H., Au, W.C. & Ahmed, P.K. (2016), The Role of Work Engagement in Reducing the Impact of Protean Career Orientation (PCO) on Job/Career Switching Intention, 2016 Academy of International Business Southeast Asia Regional Conference (AIB SEAR 2016): “Connectivity and Prosperity: ASEAN Economic Community and China’s Belt and Road Initiative”, 2-4 December 2016, Guangzhou, China. Uddin, M.J., Au, W.C. & Ahmed, P.K. (2016), Organizational and Institutional Barriers for Welfare-based HRM Practices in the Exploitative Multinational Setting: A Critical Exploratory Investigation, 2016 Academy of International Business Southeast Asia Regional Conference (AIB SEAR 2016): “Connectivity and Prosperity: ASEAN Economic Community and China’s Belt and Road Initiative”, 2-4 December 2016, Guangzhou, China. Rossenkhan, Z. & Ahmed, P.K. & Au, W.C. (2016), Barriers to career success: The unique challenges Muslim women managers face, The 30th Annual Conference of British Academy of Management (BAM), 6-8 September 2016, Newcastle, United Kingdom. Qureshi, R.A., Sandhu, M.S & Au, W.C. (2016), Corporate Social Responsibility in Indian Family Firms: A Socio-emotional Wealth Perspective, 76th Academy of Management (AOM) Conference, 5th -9th Aug 2016, California, USA. (Best Paper Award in Social Issues in Management Track). Au, W.C. & Ahmed, P.K. (2016), Work-life reconciliation in Malaysia: A study of emerging country context, Work and Family Researchers Network (WFRN) Conference, 23-26 June 2016, Washington D.C., USA. Au, W.C. & Ahmed, P.K. (2015), “Sustainable human resource practices in Malaysian small firms: Does employees’ work-life balance matter?”, European Academy of Management (EURAM) Conference, 17-20 June 2015, Warsaw, Poland. Au, W.C. (2015), “Work-life balance of women entrepreneurs, a study in Malaysia”, VI International Conference of Work and Family, 1–2 July 2015, Barcelona, Spain. Au, W.C. & Ahmed, P.K. (2014), “Impact on work-life conflict and work-life enrichment: Role of superior support and work role stressors” (extended abstract), Work and Family Researchers Network Conference, 19-21 June 2014, New York, USA. Au, W.C., Tee, D.D. & Ahmed, P.K. (2013), “Exploring the Effects of Two Types of Workplace Support on Work-Life Balance”, the International Network of Business and Management Journals (INBAM) Conference, 17-19 June 2013, Lisbon, Portugal. ISBN 978-84-695-7914-5. (Conference Proceedings). (Best Paper Award). Au, W.C., Tee, D.D. & Ahmed, P.K. (2013), “A Phenomenological Study of Work-life Balance in a Developing Country: The Case of Malaysian Experience”, Asia Pacific Journal of Human Resources Track, the International Network of Business and Management Journals (INBAM) Conference, 17-19 June 2013, Lisbon, Portugal. ISBN 978-84-695-7914-5. Au, W.C., Tee, D.D. & Ahmed, P.K. (2012), “The bi-directional and componential nature of work-life balance: An investigation of the concept”, The 26th Annual Conference of British Academy of Management (BAM), 11-13 September 2012, Cardiff, United Kingdom. ISBN 978-0-9549605-5-8. Au, W.C., Ahmed, P.K. & Tee, D.D. (2011), “Phenomenological Exploration of Competing Work-Life Metaphors ", proceedings of the 25th Annual Australian and New Zealand Academy of Management Conference, 7-9 December 2011, Wellington, New Zealand. Mahendhhiran S. Nair, Pervaiz K. Ahmed, Santha Vaithilingam, Prabahkaran Narayanan & Wee Chan Au, March 2017, Business Sentiment 2016/2017: A Perspective from Malaysian Executives, Certified Practicing Accountants (CPA) Australia & Monash University Malaysia, Kuala Lumpur. Mahendhhiran S. Nair, Pervaiz K. Ahmed, Santha Vaithilingam & Wee Chan Au, February 2017, A Study of the Malaysian Plastics Industry Skills Needs, Malaysian Plastics Manufacturers Association (MPMA) & Monash University Malaysia, Kuala Lumpur. Mahendhhiran S. Nair, Pervaiz K. Ahmed, Santha Vaithilingam & Wee Chan Au, November 2016, A Study on Knowledge Content in Key Economic Sectors in Malaysia Phase III (MYKE III) Final Report (Phase 2), Economic Planning Unit (EPU) Malaysia & Monash University, Kuala Lumpur. Mahendhhiran S. Nair, Pervaiz K. Ahmed, Christina Lee, Santha Vaithilingam, Pei Lee Teh, Wee Chan Au & Afkar Q. S. Hilles, 14 September 2016, A Study on Knowledge Content in Key Economic Sectors in Malaysia Phase III (MYKE III) Final Report (Phase 1), Economic Planning Unit (EPU) Malaysia & Monash University, Kuala Lumpur. Work-life balance of Malaysian female entrepreneurs: Motivator or barrier? PhD, Co-supervisor, “Pathways for career success: A study of Muslim women in Malaysia”. (Dec 2013 - Nov 2017). Thesis submitted in Nov 2017. PhD, Main-supervisor, “Human Resource Management in the Bangladesh Garment Industry: An Exploratory Investigation”. (Jan 2014 - Sept 2017). Thesis submitted in Sept 2017. Postgraduate Diploma, Main-supervisor, “An exploratory study of women entrepreneurship in Bangladesh. (Aug 2016 – Nov 2017) *The student was awarded with Best Thesis Award (Postgraduate Diploma & Honours Sem1, 2017). *Upon completion of Postgraduate Diploma, the student had successfully been converted to HDR in Monash University. Postgraduate Diploma, Co-supervisor, “An exploratory study of social entrepreneurship in Kenya, a developing country context. (July 2016 – June 2017) *The student was awarded with Best Thesis Award (Postgraduate Diploma & Honours Sem1, 2017). *Upon completion of Postgraduate Diploma, the student had successfully been converted to HDR in Monash University. Master in International Business, Main-supervisor, “Social Entrepreneurship: An Empirical Investigation of Social Entrepreneurs in Malaysia and Singapore” (2014). *The student was awarded with Best MIB Graduate Award (Master in International Business) *Upon completion of MIB (Research Pathway), the student had successfully been converted to HDR in MUM. Main-supervisor (PhD), “Antecedents and Consequences of Social Entrepreneurship Orientation: An empirical investigation of social enterprises in South East Asia”. (Dec 2015 - Nov 2018). Au, W.C. (2012), “The bi-directional and componential nature of work-life balance: An investigation of the concept”, 'Banana Leaf' Seminar Series 7, 13 August 2012, Meeting Room 2, Level 5 (6-5-36). Au, W.C. (2012), “Phenomenological Exploration of Competing Work-Life Metaphors”, Research Seminar Series 5, 7 March 2012, Meeting Room 2, Level 5 (6-5-36).